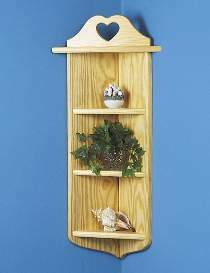 Our simplest corner shelf design provides maximum yield from standard "1x8" stock. Plans drawn FULL SIZE. Measures 14-1/2"W x 33"H.